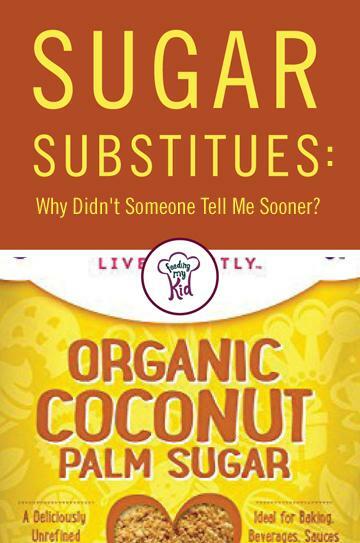 Sugar Substitutes: Why Didn't Someone Tell Me Sooner? Home Articles Sugar Substitutes: Why Didn’t Someone Tell Me Sooner? We all know that sugar is a hot topic when it comes to critics. It sits on two ends of the spectrum: from healthy to very unhealthy. Some call sugar a villain, while others see it as a necessary ingredient in divine culinary creations. Truth be told, natural sugar in the form of glucose provides energy for the body to function and without it we would be impaired (1). These natural sugars are found in whole fruits and other foods. The trouble comes in when we start adding sugar to foods. Despite sugar being necessary, there are many health professionals that want you to believe sugar is always bad. So, what is sugar – bad or good? 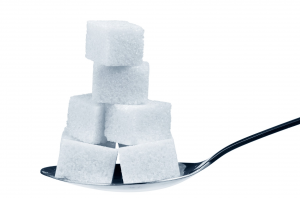 Refined sugar can spike your blood sugar and raise your risk of diabetes. It’s not just the caloric quantity that is harmful to the human body, but also the way in which it is processed. Sugar refining is a mechanical process where, among other things, the sugarcane crop is drenched with synthetic fertilizers. What’s worse, it’s “against the law [for sugar companies] to sell sugar that has not been refined” (2). It has been said that this law was put into effect solely by powerful lobbyists on behalf of the sugar refining companies. Sad face. So, we should avoid refined sugars at all costs, right? That’s easier said than done. You see, sugar is not a clearly labeled ingredient. Due to a deceptive product labeling technique, sugar ultimately hides its identity in the form of pen names. It finds a place in our grocery carts and in our pantries without us even being aware. That’s right. Joke’s on the consumer! Food scientists and recipe developers are creating sugar synonyms to mislead us. We turn over a package of food and scan the ingredients list. We trust that the FDA monitors the labeling process, but according to the standard, refined sugars come in all varieties and in many misleading names. Luckily, we might be able to trick the system by knowing what to look for. We can trick the system that has been tricking us! Happy face! We’ve found some of the most common sugar names that are being disguised in our foods. These names are virtually for only one thing. It’s all just refined sugar! Have you ever noticed some packaged foods include a multitude of these sneaky sugars within just one item? The ingredients list could include high fructose corn syrup, dextrose, cane juice, fructose… all of which are the same offenders: sugar! The more, the (not so) merrier! We caution you to beware of sugar’s pen names. Although the ingredient list might look healthy, it could be loaded with more sugar components than you think. Luckily, for those of us that battle constant sweet cravings, Mother Nature herself has organic sugary gems that are loaded with health benefits! Sugar has virtually no vitamins or minerals. Check out the list below of sugar substitutes with a large variety of vitamins and minerals. You’ll need to experiment to find the right substitution ratios that work for you. If you are substituting a liquid sugar substitute like honey, molasses, or date paste for granulated sugar, you may want to reduce the overall liquid content of a recipe by 1/4 cup for every 1 cup of liquid sweetener that is substituted for granular sugar. 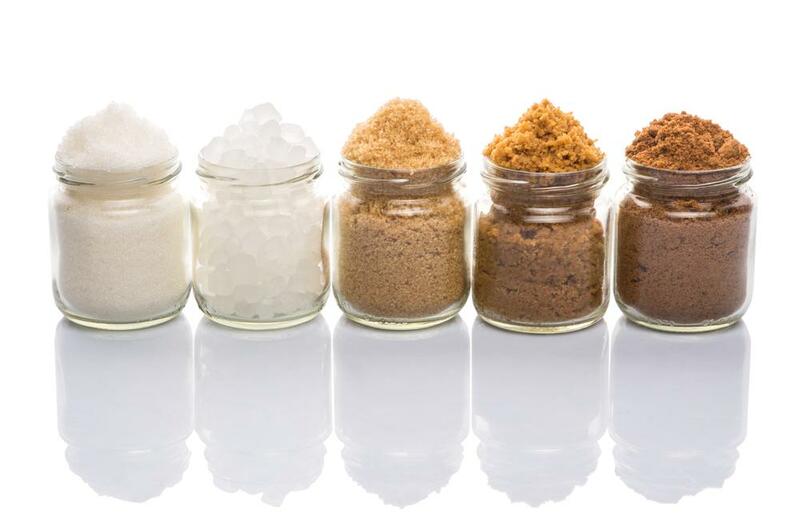 It may be easier to substitute granular sweeteners for granular sugars in recipes. We’ve provided a number of granulated sugar substitutes below. You can click through and purchase them through Amazon for the same price Amazon sells them. However, I often replace or reduce how much sugar I put into my baking and replace it with date paste or even prune paste. I’ve never been unhappy with my substitutions, and sadly I never write down how much I used, so each time I do something different. Nature has a bountiful collection of natural sugars that are better for you and your child’s diet! Your body struggles to process sugar of all kinds. It’s best to try to reduce or avoid all added sugar whenever possible. However, sometimes you just can’t. For those instances, here are some great sugar substitutes. Stevia is a stellar substitute for sugar. Easily found in your grocery store, stevia is most often sold in liquid or powder form. The true benefit of this sugar is that it just takes a teaspoon of stevia to replace a cup of refined sugar! 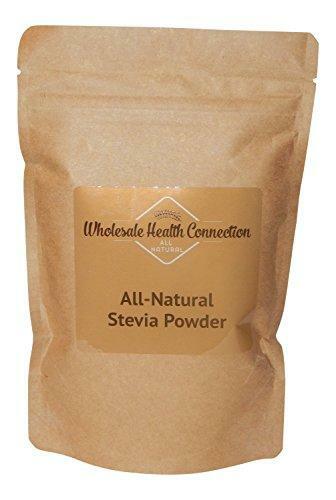 100% natural and with zero calories, stevia is a great alternative to any recipe that calls for a sweetening agent. Take note, you’ll need a lot less of stevia when following the cooking directions and it does not brown like regular sugar when baked. Stevia is high in chromium, (helping to stabilize blood sugar levels), manganese, potassium, selenium, silicon, sodium, and vitamin A. It also contains iron, niacin, phosphorus, riboflavin, thiamine, vitamin C, and zinc. Honey in its purest form is bursting with benefits. Anti-inflammatory, antifungal and antibacterial. It can also improve immune system health. This liquid gold alleviates allergy and cold symptoms and can be added to tea every morning for a wake-me-up kick and a feel good diuretic. Read more about the benefits of honey. Is it as good as they say? 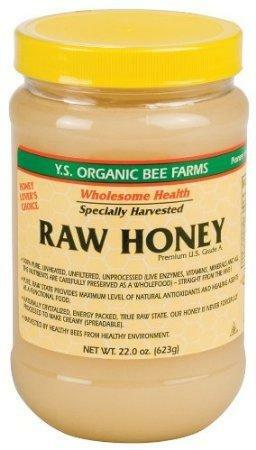 The vitamins and minerals can vary based on the type of honey. The health benefits include vitamin B6, niacin, thiamine, riboflavin, copper, calcium, iron, magnesium, potassium, phosphorus, sodium, and zinc. Molasses is great for women, for it hinders the side effects of PMS and improves hair, skin, and nails. Surely it’s benefits can be extended to men and children as well! It carries profound nutritional properties such as calcium, magnesium, manganese, potassium, copper, iron, phosphorous, chromium, cobalt and sodium (the list goes on!). Although lower in fiber than its counterparts, molasses is extremely low in fat and makes a great healthy alternative to refined sugars. In just one tablespoon of blackstrap molasses provides up to 20 percent of the daily values of calcium, magnesium, potassium, and iron. It also contains copper, manganese, selenium, chromium, B-vitamins, and protein. Coconut is rising in popularity and for good reason. Its nutritional benefits are multifold. But what hasn’t risen to fame is the sugar produced from the sap of the coconut palm tree. Coconut palm sugar is a delectable sugar alternative and with its natural foundation, it is boosting with benefits. Iron, zinc, potassium, and calcium are just a few fantastic finds within coconut sugar. Without an impact on blood sugar levels and being a very low glycemic food, coconut sugar makes an ideal substitute for diabetics and others concerned about insulin intake. And, it’s sustainable, which means it’s better on the environment!!! Coconut palm sugar has less fructose than regular sugar, and is a lower glycemic index food, which means your blood sugar spike isn’t as high as when you eat a higher glycemic index food. When your blood sugar spikes from high glycemic index foods it can cause your insulin levels to spike in a short amount of time which increases your chances of getting Type-2 Diabetics. And, don’t forget the sugar crash you may experience shortly after eating a higher glycemic index food. 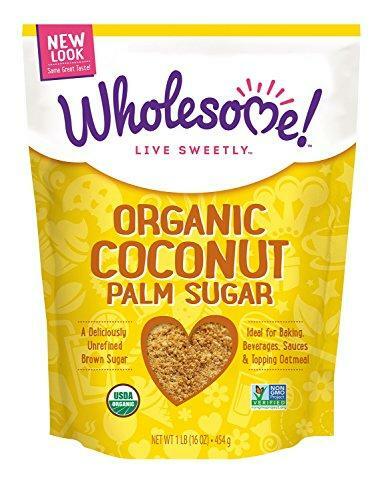 Coconut palm sugar has a few minerals and vitamins, but nothing noteworthy. This sugar contains trace amounts of magnesium, zinc, calcium, zinc, phosphorous, iron and copper, vitamin C, and potassium. Date sugar is a natural sugar substitute boosting with flavor. Since it is sweeter than its competitor, recipe artists recommend using 2/3 of the amount of what is called for in refined sugar. Although dates will not melt in your coffee or tea, it can be a fine replacement in baked goods. Loaded with fiber and essential vitamins and minerals, this sweet treat will maintain good health and a natural spike in energy… just what our kids need! Dates are a good source of fiber, vitamin B6, vitamin A and vitamin K, calcium, iron, magnesium (50% of the population is lacking), potassium, copper, thiamin, riboflavin, niacin, and folate. 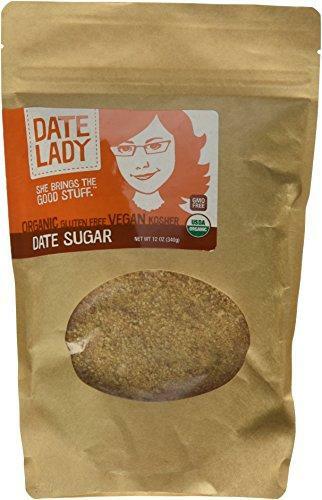 You can buy the sugar for those times you may not have dates available in your pantry or fridge. My go to substitution is to buy the whole dates and make date paste and use that in my recipes. If I have time, I soak the dates, but let’s be honest, that never happens. Maple syrup is a hidden gem probably tucked away in your pantry or fridge. It’s not only for pancakes, people! It’s a sticky substance that aids in immunity and heart health with over 54 antioxidants and towering levels of zinc and manganese. However, we must note: there is a great difference between the maple-flavored syrup and the real raw stuff. One is loaded with refined sugars and high fructose corn syrup with deprived nutrients… while the latter is necessary for health improvement and preservation. By reading the ingredients tab (and now you are proficient in picking out those ambiguous artificial sugars…) you can easily see the difference. It may be a bit more pricey, but the purest form of maple syrup will pay off in the end-all. 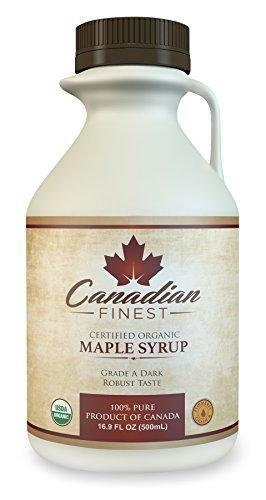 The vitamins and minerals found in maple syrup contain magnesium, phosphorus, potassium, calcium, iron, zinc, riboflavin, thiamin, niacin, and B6 are also found in maple syrup. While agave is a natural sugar substitute found in the leaves of the agave cactus, it is extremely high in fructose which could be doing your body more harm than good. Fructose, as noted above, is a type of sugar that is quickly converted to fat. The Harvard Health Publications cautions us that we should not consume large amounts of fructose outside of what is already found in fresh fruits. To demonstrate the comparison of agave to other sugar substitutes, agave is made up of 90% fructose while coconut sugar houses half that amount at 45%. What is more astonishing is that high fructose corn syrup actually has less fructose than agave with only 55% content. Although agave has a low glycemic index which is great for diabetics, the mineral and vitamin content is virtually the same as those found in honey. We’re going bananas over this sweet and healthy alternative! Did you know bananas make a great sugar substitute in pancakes, oatmeal, breads, and other baked goods? For optimal sweetness, go for the ripe bunch with speckled brown spots and a darker yellow hue. Why are they sweeter the more they age? That’s because as the banana ripens, the enzymes in its tissues are breaking down the starch into sugars, which saves your body the hassle. That way the body can absorb the sugars more quickly into the bloodstream. Cinnamon, nutmeg, allspice, mace, cardamom and ground ginger are all translated as sweet to your taste buds. Almond extract, vanilla extract, cinnamon extract, and even hazelnut extract are all great healthy alternatives to sugar, too! Why not take advantage of their herbal health benefits while optimizing their value as a sweetening agent? If we can re-train our brain to read these spices and extracts as a satisfying sugar replacement, think of all the fat and unnecessary calories we are cutting out of our diet already! These are just a few natural sugar substitutes that you can use in replacement of refined sugars. We encourage you to be weary of those sneaky sugar synonyms and attempt to go for these natural alternatives listed above. You will see an improvement in your child’s mood, a slimmer physique, and an all-around healthier body and mind. We’ve given you the knowledge, now it’s up to you to make the change! Is Honey Healthy? or is it Just Sugar? Find out all about sugar nutrition and sugars healthier substitutes. Some of these facts about sugar substitutes might surprise you!